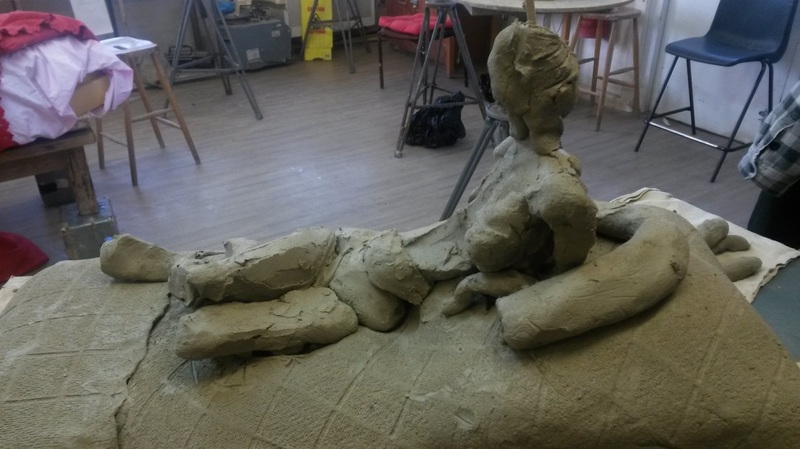 Grayson went through many itterations: initialy a semi-abstract female figure, smooth but weighty, embedded into a textured bed of clay. The contrasting textures informed the piece as it progressed. Grayson was very much on my mind - he was everywhere at this time, with his show 'Tomb of the Unknown Craftsman' at the British Museum. The texture of the clay bed fragmented into a stock-pile of art objects, missiles and skulls, and the female form morphed into Grayson, complete with biker applicays of his Alan Measels mascot. 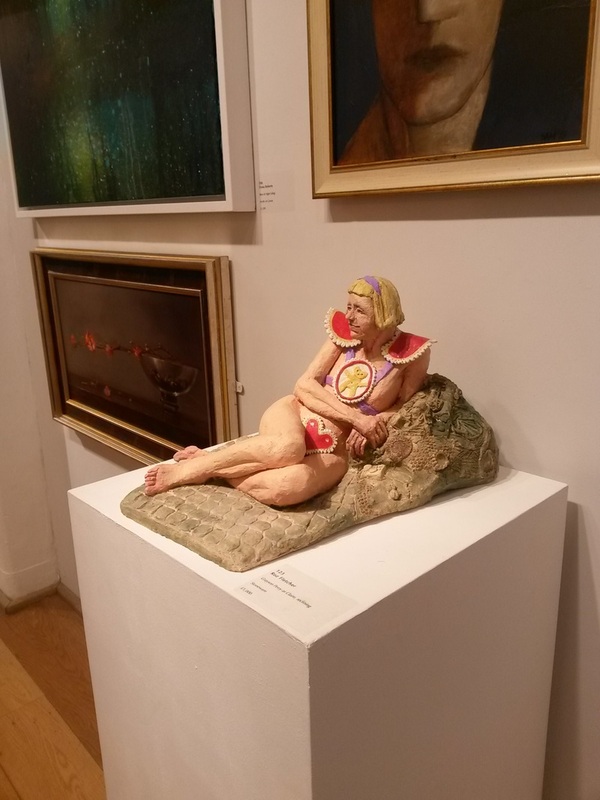 The sculpture was exhibited at the Society of Women Artist's Summer Exhibition in the Mall Galleries Summer 2015.